On Google’s 20th Anniversary in the fall of 2018 (September) they announced that a new algorithm called “Neural Matching” that they said had been already powering their searches since late spring or early 2018. While the industry was not super-hyped about Neural Matching (perhaps because Google never really gives us an in-depth explanation on what these algorithms do or how they work and expects us to figure things out with the bread trail crumbs they throw our way – I’ve been thinking about this, and I do believe that Neural Matching is going to play a very significant role in ranking pages and basically answering user search queries. The holy grail for Google and the ultimate goal is to build the star trek computer. Users talk to it or type in any queries and it gives an accurate answer or result (while perhaps referencing pages and linking to the source pages where users can get the complete answer). 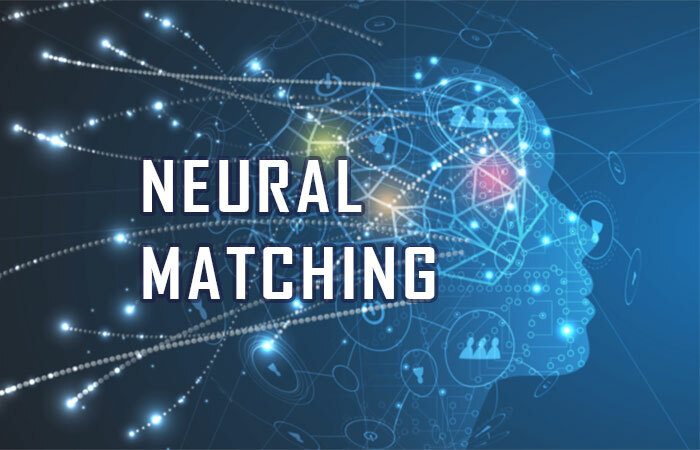 Neural Match – A big Step Closer To The Ultimate Search Algorithm? One of the biggest problems Google faces today is that 15% of queries are never seen before queries on a daily basis. Which, if you consider the amount of daily searches being done – is a very significant quantity. These queries – have never been asked in the past – so Google really needs to use AI and some amazing algorithmic matching to show highly precise and related results, or it will gradually start to lose a large fraction of users as it shows irrelevant results. What if Google could “understand” the quality of the content without looking at any other ranking factors? What if it got the the point of where humans are now… where it could simply digest a page and understand how good it was about the topic without having to look at how many backlinks it had and other signals? Google should be able to take any search query, understand it (the searcher’s intent), and match it up by relating it to the best page on the internet that answered the query. Google needs to actually match this up as accurately as it can so the search result is as accurate as possible to what is being asked – and not some fake page or result with inaccurate or misleading information. The gap here is – that how people search is often different that how people write content about that search. Neural Matching helps Google understand the search query, without looking at any other ranking signals! Google is able to successfully match search queries to web page using only the search query and the web pages. Nothing else. The example Google gave us is that as search for “why does my TV look strange” is related to the concept of “the soap opera effect” – and so with Neural Matching in place, Google is now able to return results that are about the soap opera effect – “even if the exact words aren’t used (in the search query)” Google said. And, that’s kind of a big deal, because the goal of Neural Matching is to be able to relate searches to answers by really understanding the query. Danny Sullivan also said that Neural Matching is now being used for around 30% of all search queries – which is a significant portion of search queries. Seed Research Paper from which the Neural Matching Algorithm Originated? Google’s AI blog did publish a research pager called – Deep Relevance Ranking using Enhanced Document-Query Interactions, which talks about some new algorithms that improve on a revolutionary deep neural method that is used for document Relevance Ranking (also known as ad-hoc retrieval). This method does not rely on link signals for ranking pages. I suspect that Neural Match uses the fundamental concepts of this algorithm. Neural Matching understands the concept around search query words and relates it to the most appropriate pages. Rank Brain helps Google better relate pages to concepts. It works with Panda Algorithm closely to create contextual entities around pages. Google is probably using Neural Matches as the first step to serve results and then Rank Brain looks at User Behavior to decide if the result it showed deserves to stay where it is – or get pushed up or pushed down. So, Neural Matching kind of gives you your initial rankings (also related to content freshness), and then Rank Brain steps in to monitor certain things happening around you page as compared to the other results that are ranking around you – and then it decides where it should optimally position your page in the SERPs (this is the cause of the “google dance” tat many of us experience for fresh content pages). And, as you go about getting other signals like backlinks, your rankings will get pushed up as backlinks are still a top 3 ranking factor and help build authority of your rankings in time. In contrast, Neural Matching is time independent – and it works on its current deep learning (and understanding) around words, word-vectors and concepts of the content on a page). Can you Optimize Your Content or the Neural Match Algorithm? Although many online places are of the opinion that there’s not much you can do really, to boost your rankings with any Neural Matching “optimization techniques” – I do think you can optimize for it for better rankings. As a starting point – you need to understand the “intent of the searcher” while writing our your content. You then need to produce great content that serves the search query. This is a significant shift in mindset – when you are writing content. Sure, you can focus on writing great content and do your research and write naturally, but then you have to “optimize your content” or give it to an SEO expert to optimize for search by letting them do their research on what kind of short and long queries would people be Googling to get to your page. The trick is to write your content as if you are answering a question someone would ask about the various things you are writing about on the page. Your sub-headlines can actually be framed in the manner that they ask questions – and then the content below it answers the questions. This is actually already been shown by some expert SEOs to help in pushing your rankings higher for search queries as you are making it easier for Google to fit in your page around the search query (because your sub-headlines are matching). The technique is nothing new and expert SEOs have been doing this in the past. That, Neural Matching is now powering up 30% queries just makes this strategy in content writing more significant and compelling! I do believe the growing list of new search features like AI driven – Activity Cards, Collections, Dynamic Search Results, Google Feed, Dynamic Q&A Rich Snippets – all appearing within the SERPs is are all also partly a result of the Neural Matching algorithm. Google has always wanted us to focus on creating great content – in the best interest of users (and their search algorithm of course). And, with the Neural Match algorithm – clearly we are seeing how Google is showing (and hinting to us) why creating great content should be the key focus for all content creators – and how their algorithm is evolving to serve sites with better content. On a closing note – do you think we will we see a Google algorithm in the future that totally stops relying on the backlinks as a ranking signal?